Welcome to the Undictionary, an ick!tionary of all things best left unsaid. 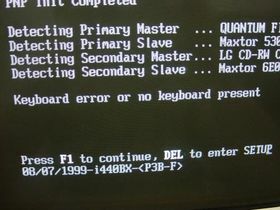 F1 is the magic key, that you can press even when the keyboard is not present! Help! is also an LP released by the Beatles during the 1960s. To give relief, ease or relieve. To improve, change for the better. To pounce upon or wait on, as in a rabid commission salesdroid in a store or restaurant. To refrain from; avoid or resist. Nope, couldn't help mentioning that one. To help oneself, to take (typically without asking permission). If you were actually looking for help on editing the Undictionary, click here. For help on using and editing Uncyclopedia itself, see also: Help: Contents and Help:HowTo. Ctrl FN Alt s p a c e b a r Alt Gr ⌘ Ctrl ← ↓ → 0 . This page was last edited on 16 March 2009, at 18:55.